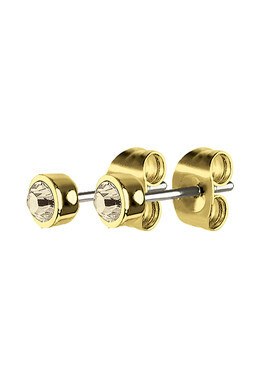 Simplistic and classic studded earrings perfect for any occasion. This newcomer features a single sparkling Swarovski crystal set in polished gold toned finish and a large golden solitaire crystal from Swarovski in a classic box setting. The earrings have a butterfly closure.